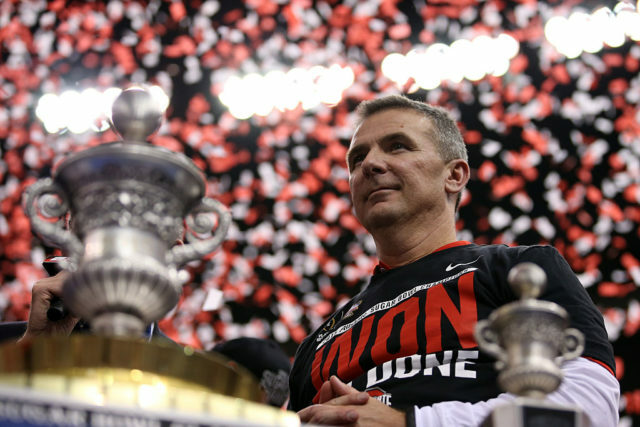 Ohio State football coach Urban Meyer lost out on a sizable amount of money during his three-game suspension. You know that you’re taking a huge hit whenever you lose more than $500,000 in a matter of a few weeks. There’s no way to spin that in a positive direction at all. That would ruin most people’s lives. That’s more money than most people earn in a few years, and Meyer list in a few weeks. Absolutely brutal. On the other hand, Meyer is making millions of dollars every year. He’s one of the highest paid men in all of sports. He’s making $7.6 million a year. Something tells me that be might still be enough to put food on the table at the end of the day. As for me, send a rescue party for me if I ever lose half a million dollars over the course of a few days because that will absolutely be rock bottom.